Downtown Farmington is a wonderful place to experience while visiting New Mexico. Farmington is full of galleries, museums, delicious restaurants and outdoor adventure. The arts, culture and historic charm downtown Farmington offers is something you won’t want to miss. Known as “The Heart” of Farmington, downtown is home to our favorite Makers Market in the region. The 2017 Downtown Makers Market will be kicking off before you know it. Local artisans will feature their handmade, homemade or locally grown goods. Starting in June, you’ll find the finest local artisans, fresh produce locally grown, homemade baked goods, jams and jellies, leather goods, antiques and collectables every Thursday evening in Orchard Park. From 4:30 to dusk, find your perfect piece of art or unique vintage item. Stroll through beautiful Orchard Park and browse for wonderful and unique treasures that you may not find anywhere else. Snack on delicious produce grown right here in the Farmington area. Admire handcrafted works of art inspired by the great Southwest. Many times, you can even meet the artist. Be amazed by the ingenuity you will see all around you at the Makers Market displayed in items cleverly repurposed. Spend a Thursday evening or two this summer taking in the culture of the Southwest. Enjoy the feeling of the “good ‘ol days” when “Main Street” held a strong sense of community. Let time stand still for a few moments while you learn about the incredible stories that have shaped the purpose of each maker at the market. Strike up a conversation with our local artisans and learn what inspired them to hone each of their crafts. Maybe you’ll even pick up a little inspiration yourself from these fine local artists. 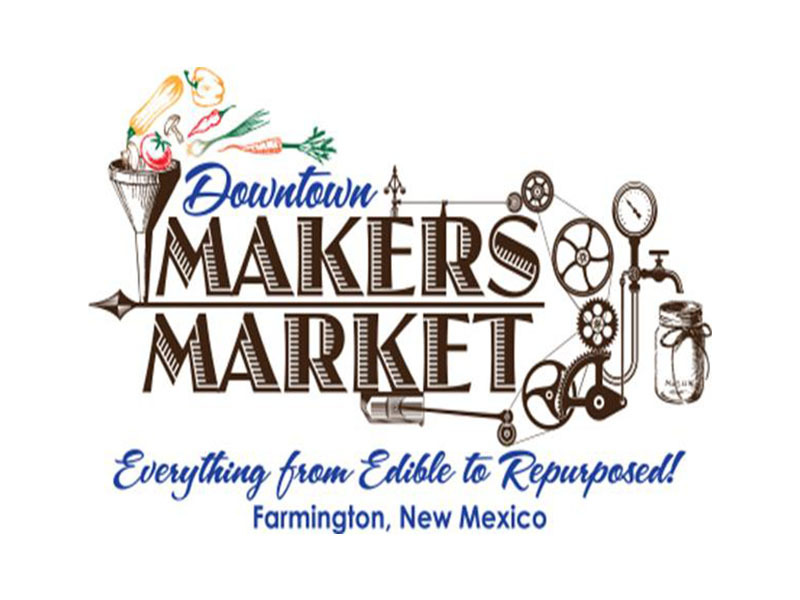 Farmington’s Makers Market begins June 8 and runs every Thursday through October 26. Why save all of the fun for the weekends? Thursday nights are about to get much more interesting all summer long at Farmington’s Makers Market. Come experience the Heart of Farmington.